Review by Dennis F. in Sebring, FL Project: Level Concrete Slabs Using Injection Technology Very Professional extremely polite 2 young men and they were actually shocked when I tipped them. They were very appreciative and polite young men. The salesman was quick to respond no pressure explained exactly what I would be achieving with the results. Review by a homeowner in Winter Haven, FL Project: Level Concrete Slabs Using Injection Technology Very prompt, very professional. Very happy with my choice. 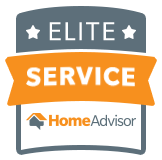 Very pleased with Home Advisors in general, they haven’t failed me yet. Review by Donald G. in Pembroke Pines, FL Project: Level Concrete Slabs Using Injection Technology When one sidewalk slab located in a difficult spot due to what i believe was excessive oak tree rooting did not settle properly after the initial work, the PolyLift crew quickly responded without question to fix it. They did a good job. Review by Barbara G. in West Palm Beach, FL Project: Level Concrete Slabs Using Injection Technology Excellent customer service. I had an unexpected challenge to the repair. Owner had the issue resolved in 24 hours. Review by Troy M. in Boynton Beach, FL Project: Level Concrete Slabs Using Injection Technology Very professional, quick service & great value. They came out exactly when scheduled, didn’t mess around or try to up-sell, cleaned up the mess & was done in less than a day.